Buy teak garden furniture direct from Java Indonesia furniture manufacturer and furniture factory. Our company CV Maya is teak furniture company who produce and exports teak furniture for outdoor garden. 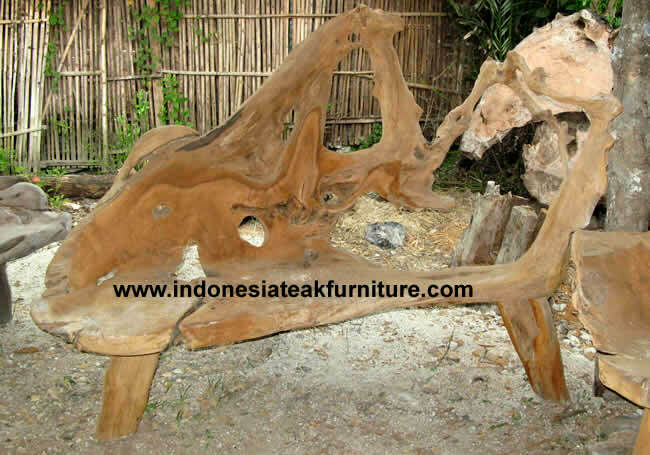 Our teak outdoor furniture made of teak wood taken from teak root. Very strong, water and rot resistant, surely will last for generations.